And now meet Glyn Hockey! Dressed only in my violin? Surrounded by funnel web spiders. Would you send me away? The thing I love about your poems is they never seem stretched, you know what I mean? It’s as though you just sat down, held a pen in your hand and the words arranged themselves brilliantly on the page. No effort, no sweat. GH: Ah, I only wish it were that simple. I start with an idea that I hand write, I leave it to settle for a few days before I return to it. if I still think it has merit I will produce a word document that I can edit and play with. A few days later I will return to it again, only if I am still happy, will I post it. You’re allergic to royalty, politicians and tax collectors so you only eat them sparingly on rare occasions. You love cake so much that you plan to be buried in a large chocolate eclair. Apparently you wear underwear only when you expect to be run over by a bus. Any other revealing things we should know about you? GH: I guess my sense of humour reflects my interest in life, it is also a defence mechanism that helps me to see that not all is as bad as it may appear. 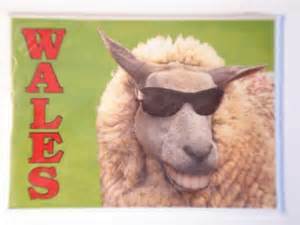 I am an animal lover, (being Welsh that means a strong emphasis on sheep) and a follower of Rugby Union, (Welsh Rugby Union) I consider all the years spent residing in England as missionary work. GH: I had considered my mother-in- law for role play but she was far too busy teaching Ghengis Khan some basic manners. Do you think there’s any hope for this world of ours? GH: There is much darkness in this world of ours, but there are shafts of light too. Conflicts are not caused by the many, but by the few. If we all learn the meaning of a few words; tolerance, compassion, empathy, we have a chance. We need to celebrate our differences, not use them as barriers. JTT: Sigh. You’re so right. I really wish we could go on forever but I know you’re busy with the release so let’s conclude with a final question about Wattpad. The openness of the site has led people to post just about anything, which has resulted in toes being stepped on, gripes about the software they’re using, and the airing of personal health issues which can be difficult to “vote” on. As a former “ambassador” (community advisor) you’ve tried to remind people to be civil and to remember that it is a free site. Do you think eventually they will begin monitoring content more closely than they currently do? For those people who are not familiar with Wattpad, what would you like to say about your experience? GH: Wattpad has the capacity to be a wonderful place, it allows writers of all levels of competency to interact. None of us becomes a master overnight, it takes practice, and encouragement. Wattpad, and its users are a microcosm of wider humanity. Yes, there are glitches more than I would like, but with a platform this size some problems are inevitable. JTT: I’m always amazed by the generosity of other writers on that site. You’re absolutely right – despite a few problems, it’s a great place to mingle. 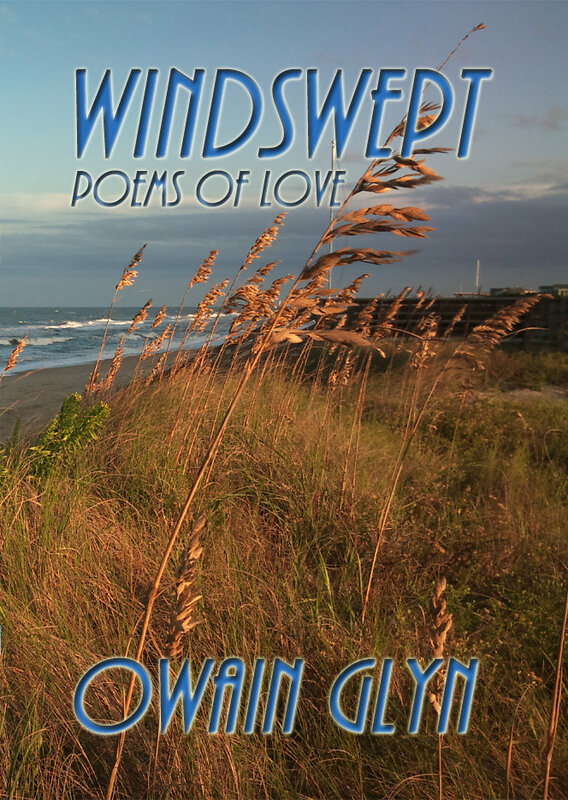 For a limited time you can order a copy directly from the publisher for $9.99 click Windswept – Poems of Love. Bring some love into your life! 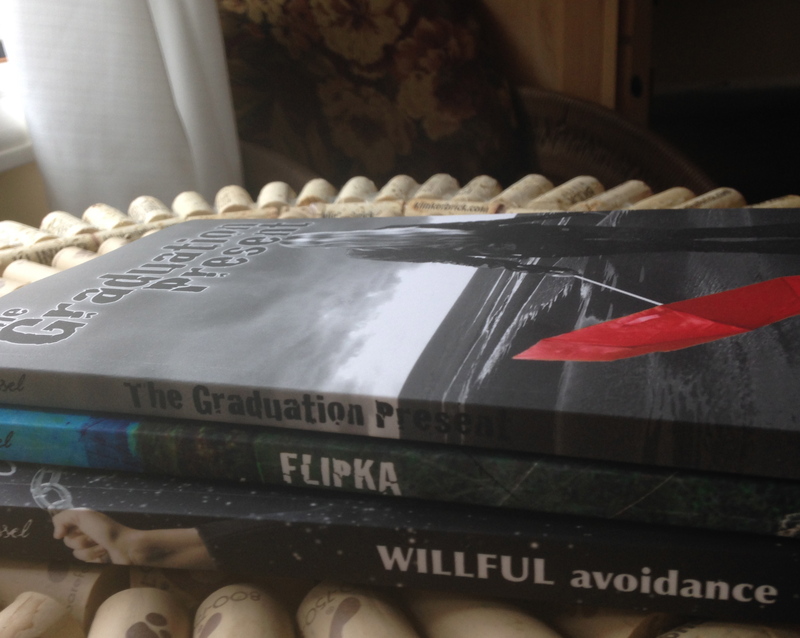 This entry was posted in Interviews, Posts and tagged Glyn Hockey, Owain Glyn, poetry, Wales, Wattpad. Bookmark the permalink. ← I might change my mind! Where are you going on your ‘wireless vacation’? John and I are off to Sedona this Friday. John’s knee went BAD two days ago. He can barely walk on it and needs my help to get sock and shoe on. I will probably have to do most of the driving but I feel up for the challenge. Marlene and Ilan will be meeting us there…. and I believe Jake Gorba is going to join all of us for dinner one evening. We won’t be able to do any hiking but time won’t be wasted. John is looking forward to having hours to play with Ilan on his new photography computer programs. Rummikub, jigsaw puzzles, pool time and steam showers are calling my name. ps. Carol’s outback journey with the flies looked absolutely AWFUL!!!!! We’re going back to Washington DC and NYC – if the hurricane will let us! Have fun in Sedona – all my best to Ilan and Marlene. Sorry to hear about John’s knees! Your interviews are so good, Jan. Insightful questions and comments that open the way for Glyn Hockey to share his insights with us. I’m looking forward to a great read! Thanks KC Gal – reading his poetry always makes me think or love or giggle! And he’s a real gent as well! Great interview, Jan and Glyn! I’ve seen Glyn’s comments on your blog in the past, but of course, never knew what a wonderful poet he is. Thanks for sharing the beautiful “violin” poem, as well as snippets of others. I’ll certainly be checking out more of Glyn’s poems! He is a joy in every way! I adore the violin poem as well! I think the best I can do is to post a very humble thankyou. I left tire tracks across Glyn’s back but I think he’s forgiven me! Had a great time in DC and NYC – actually survived! Thanks Gail- perhaps he can get those published as well! I followed the link Glyn gave in his WattPad message – excellent interview, well done!! Thanks Sloanie! Let’s hope more of his work gets published! Hope you are doing well.